A private hands-on flying lesson in a nostalgic 1930s Tiger Moth including 15 minutes in the air and free entry to the Imperial War Museum, Duxford for the voucher holder. 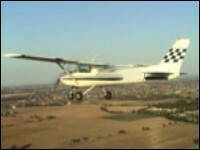 35 minutes, with 15 minutes in the air. Take a pleasure flight in the Dragon Rapide, one of the best loved pre-war aircraft. 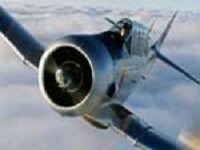 Enjoy a 40 minute round trip to view the skylines of Cambridge, Ely and Newmarket, plus a whole day at the Imperial War Museum. 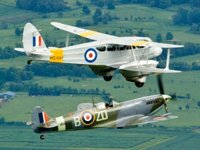 A private hands-on flying lesson in a nostalgic 1930s Tiger Moth including 20 minutes in the air and free entry to the Imperial War Museum, Duxford for the voucher holder. 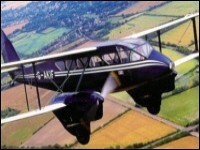 Take a pleasure flight in the Dragon Rapide, one of the best loved pre-war aircraft. 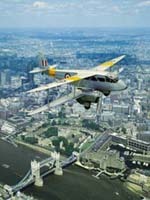 Enjoy a 70 minute round trip to view the skyline of London though the large windows and past the bracing wires and struts of this graceful biplane. 85 minutes, with 70 minutes in the air. 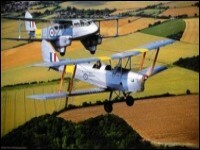 A private hands-on flying lesson in a nostalgic 1930s Tiger Moth including 30 minutes in the air and free entry to the Imperial War Museum, Duxford for the voucher holder. A private hands-on flying lesson in a nostalgic 1930s Tiger Moth including 40 minutes in the air and free entry to the Imperial War Museum, Duxford for the voucher holder.